Everyone on Twitter can calm down. Drake and Eminem's beef is not real, says Ebro Darden. There have been a lot of speculations that we will witness a Drake vs Eminem battle. Obviously, this piece of news shocked millions of Slim Shady fans and even inspired them to predict who might win if this event ever comes to take place. The real winner in most peoples' eyes will be Eminem and Drizzy's fans have been passionate about why he shouldn't take on the "Rap God." But will Drake and Eminem's supposed battle ever take place? Or did Ebro Darden just troll on everyone? "I told Drake I heard the rumor was that Eminem was gonna gear up to come after him. And [Drake] laughed, and he said, 'That's not gonna happen. He'll never do that. And if he did I got something for him, too." Everyone on Twitter was engulfed in emotions that ranged from disbelief, anger, shock and amusement and these had to be unleashed on social media. On late Wednesday, Aug. 3, the twittersphere succumbed to these reactions, which were more emphatic that the "Forever" rapper's beef with Meek Mill. But Darden finally came out and tweeted that the 'Hotline Bling" rapper was only joking and he will not take on Eminem. 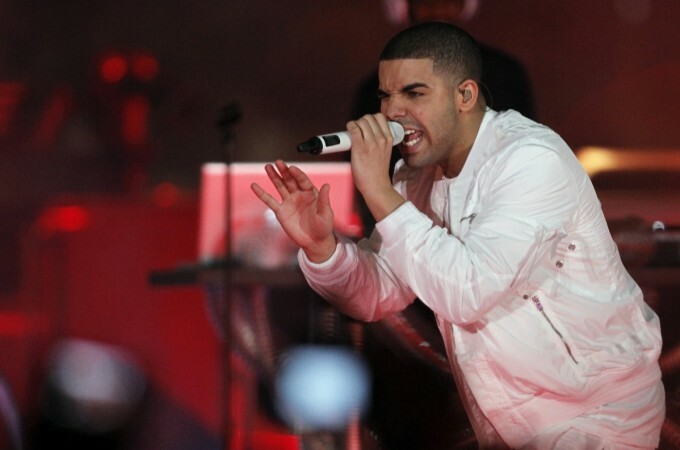 The radio host said Drake has too much "respect" to take on the "Lose Yourself" rapper. Darden's only reason for putting everyone into a panic? It was a slow news day, according to him. We might never witness an Eminem and Drake fight and thank god for that, but Drizzy's beef with Joe Budden is still ongoing. According to the radio host, the Canadian rapper said Budden would never release DMs that Drake sent because it might backfire at Budden. The reason he ain't put 'em out is because I DM'ed him and said I hope you get well in this tough time.' AKA you out here strung out on dope or something. So he ain't put that out," Drake told Darden. Drake and Budden fought in April 2016 when the latter expressed his discontent with Drizzy's new album, "Views" on his podcast. Their fight escalated quite quickly with Instagram DMs, diss tracks and very angry tweets.